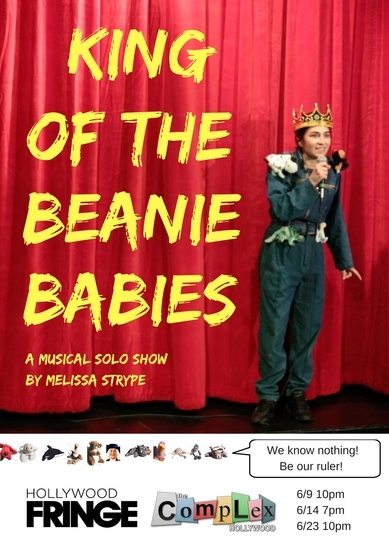 Melissa Strype (from the hit web series GAYLE) makes her solo debut in “King of the Beanie Babies,” an original one-woman-show in which she teaches her Beanie Babies what she’s learned in the past 20 years. (They’ve been stored away in a cabinet since ‘97!) With lessons ranging from dolphin rides to pubic hair, join Melissa in her full denim onesie and 13 depreciating-in-value Beanie B’s on the ride of a weektime.